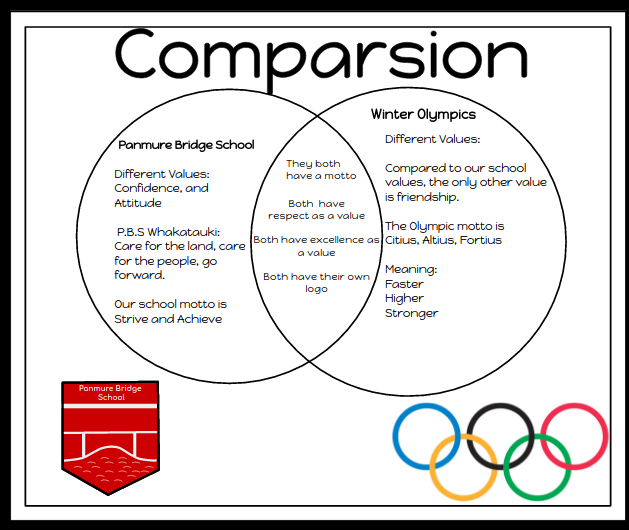 This week for inquiry, we were asked to make a Venn Diagram, comparing the differences and similarities of Panmure Bridge School, and the 2018 Winter Olympics. For this activity, I worked with Sanujan, Nickaela, and Brooklyn. I learnt a lot from this activity, the biggest thing being that Panmure Bridge School, and the Olympics share some of the same values! 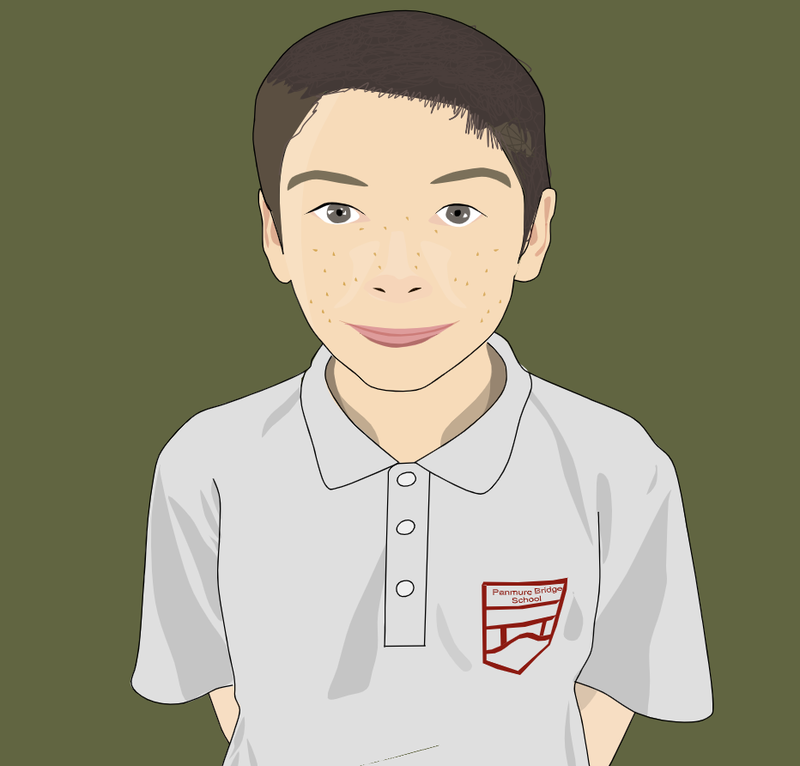 This was surprising, but a great new fact that I had just learnt. A Venn Diagram for anyone who doesn't know, are 2 circles put together, to form 3 sections. The 2 outer sections are the differences between 2 subjects, while the centre is the similarities.